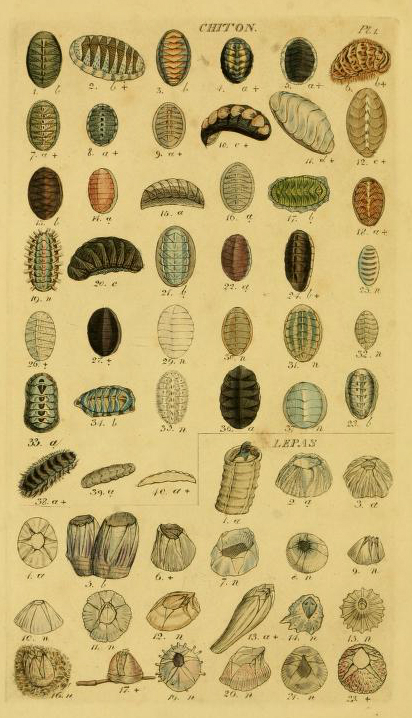 Hand-selected from a 18th century conchology catalog, this free vintage science illustrations depicts a wide variety of different chiton species with shells. This image is ideal for both educational and crafting purposes, and you are free to use this image for your work without permission. Please include a link back to FreeVintageIllustrations.com if you share this image on your blog, website, or social media.